​Hello and welcome to Spring Hill Tree Specialists! We are the best local tree service for reliable and effective tree services such as tree removal, tree trimming, stump grinding, and more. With the beautiful weather in Spring Hill, Florida many trees and plants grow strong and large which, although gorgeous, can pose a danger to your home and family if not treated with proper upkeep. No one likes to be hit with a falling branch! At Spring Hill Tree Specialists, we offer a diverse selection of services to keep your trees properly taken care of while taking into account the needs and budget of our patrons. At Spring Hill Tree Specialists, we’re experts in our field rather than a run of the mill tree service company. We consider every single safeguard to make sure your home, business, and property is properly taken care of regarding your trees. We provide both residential and commercial tree service solutions for a variety of issues: tree removal, stump removal, tree cutting, stump grinding, tree trimming, tree pruning, tree cabling and bracing, tree crown thinning and reduction, brush clearing, wood chipping, storm cleanup, and more. At Spring Hill Tree Specialists we work hard to guarantee peace of mind and affordable tree services to our residential and business customers. You might be wondering: Why does Spring Hill Tree Specialist pop up at the top of google when you search tree service near me? The answer is simple, we’re the number one tree service provider in Spring Hill, Florida. We guarantee you'll love our service! Trees that are dying or already dead are hellacious on the eyes and are out of place in a beautifully managed yard or piece of property. Trees, like all living beings, grow. Trees that used to be small and barren in the past may have now grown to overtake the rest of your yard or the roots have begun to spread to a degree that is dangerous for the other fauna in your yard. Their canopy has grown too large and is providing too much shade, sucking up the sunlight for themselves and not letting the rest of the plants in your yard grow and thrive. Above are just a handful of reasons for why you may want a tree specialist to come out and remove a tree from your yard and we’re privy to the fact that there are plenty other reasons as well. At Spring Hill Tree Specialists are trained to be able to handle and remove any tree that may now be terrorizing your yard or has finally hit the end of its life cycle and needs to be removed. Sometimes even healthy trees have to be removed from a yard or property and we understand that. Spring Hill Tree Specialists are fervent in doing their best to helping you craft the perfect image you want for your yard or property, which can mean removing trees, healthy or dying, and especially the old stumps that may litter your yard. No matter the issue, whether a tree is threatening your house, a neighbor’s house, or even the road, we can remove it. 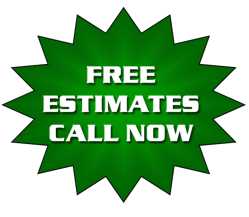 Looking for someone to remove your stumps in Spring Hill, Florida? Don’t worry, we at Spring Hill Tree Specialists are the best in the business. We can remove those annoying and ugly stumps from your yard or property with ease! Give us a ring at Spring Hill Tree Specialists and make an appointment for a free quote with our experts! We provide a bevy of options to our clients in regards to stump removal services so we would like to make sure you have been provided with all of the relevant information when you make your decision! Grinding a stump down is only the beginning of removing it. After the stump is ground down, you have decisions to make. We provide services to remove the grindings or you could decide to keep the grindings to fill the opening left by the removal of the stump. Another option for you is to have the specialists at Spring Hill Tree Specialists turn the grindings into mulch to spread wherever you’d like around your yard and home or business. If none of these entice you, we can fill the hole left by the stump with dirt to help it blend naturally with the rest of the property. ​Spring Hill Tree Specialists provide not only stump removal for the Spring Hill, Florida area but also services to deal with annoying above ground roots which can be harmful to keeping a closely mowed lawn that’s safe to walk around or through. Spring Hill Tree Specialists also offers additional services in regards to removing underground roots which may affect or threaten your plumbing or the structure of your home or business. Roots love to absorb moisture and that includes the moisture below ground which can lead to roots entwining themselves with plumbing pipes and in the worst cases, destroy them. Spring Hill Tree Specialists advocates for eco-friendly root removal options but on request our experts can also provide chemical solutions as well. Both options are used in concert with stump removal to kill leftover roots that may harm your yard or property. Trees may need a trim every so often to look their best and we at Spring Hill Tree Specialist completely understand that. One of our most sought after services is our year-round tree trimming. It is only one of the reasons why we’re the tree service provider of choice in Spring Hill, Florida. Trust all your tree trimming needs to a business that makes its living caring for and beautifying trees of all shapes, sizes and species! New, young trees should be cared for and trimmed regularly as they grow so they can grow strong and their leaves develop beautifully. You can also avoid many serious issues trees may cause with careful, regular trimming. Frequently trimming and removing dead limbs is a maintenance method that will keep the tree from rotting and decaying early in its life cycle. We at Spring Hill Tree Specialists are committed to the lifelong service of our customers and will do everything we can to help you preserve your trees for years to come! Well-cared for and properly trimmed trees allow more sunlight to pour through their branches, allowing sun to reach lower branches along with plants and grasses underneath the tree. Your lawn can also benefit from tree trimming, too! Trees that are well groomed and trimmed are quite beautiful to look at, enhancing the overall attractiveness and value of your property. Spring Hill Tree Specialists are concerned not only with the health but the beauty of your trees. Lastly, performing trimming on a large tree can make it much stronger and resilient to the elements. This means that when winds and stormy weather come, the tree will be less likely to lose individual limbs or come crashing down altogether. Upwards of 25-30% of a tree should be removed when it is pruned but no more than that! Any more is only harmful to your tree. Our experts at Spring Hill Tree Specialists know this but do the other tree services around town? Tree pruning is something we excel at and we are confident our experts are the most knowledgeable ones around when it comes to pruning both residential AND commercial services. Call us today! Tree pruning is very conducive to the overall health of your trees, but only when the process is entrusted to the hands of an experienced and educated expert who is knowledgeable on the safest and most effective techniques of tree pruning. When our team at Spring Hill Tree Specialists come out for a free-of-charge evaluation, they will discuss the plans you have in mind for your trees and your property. They will then go over their plan for the effective pruning of your trees that will help you meet your goal! Tree Surgeons aren’t actual surgeons but their process works much like real surgeons! They evaluate trees that need pruning and then decide on which cuts should be made to the tree and which parts of the tree are healthy enough and structurally important enough to be left alone. These are not decisions that are made lightly and we do not encourage you should to try to make yourself or, worse yet, leave up to amateurs! You only want an expert when it comes to your trees, so rely on Spring Hill Tree Specialists! At Spring Hill Tree Specialists, we know that you want healthy, disease-free trees that help to beautify your yard or property you can enjoy for many, many happy years! Our expert tree surgeons can help you make that dream a reality! You may wonder if your trees need pruning, or you may want to know more about the process. We understand and if you want to talk to a certified tree surgeon about tree pruning. Fill out the contact form or call Spring Hill Tree Specialists today!